Enjoy the top 49 famous quotes, sayings and quotations by Andy Garcia. In a marriage, in any long-term relationship, not to bother with lying. There's no time for that. If you have any sort of secret life, it will come back to haunt you. I'm not trying to convince anybody of anything. I just want (the audience) to have an experience that moves them. I'm not worried about walking the streets and looking over my shoulder because of something I might have said. 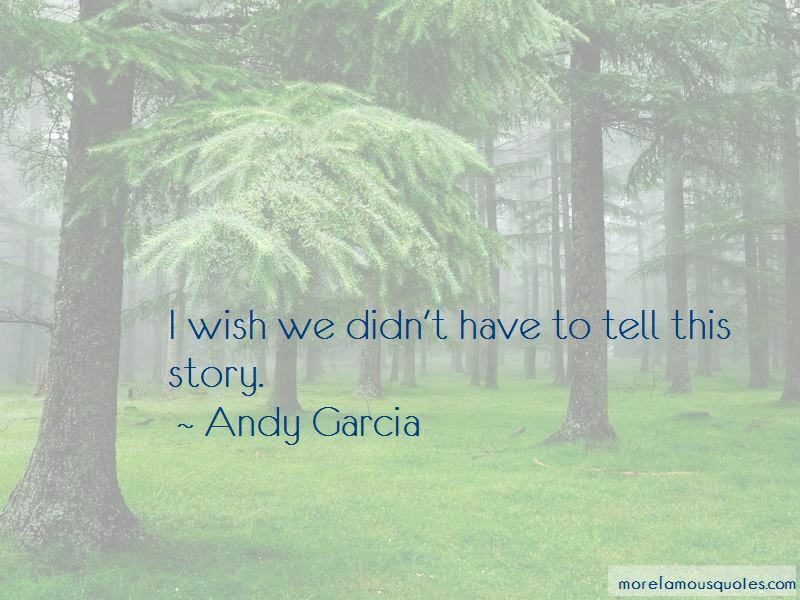 Want to see more pictures of Andy Garcia quotes? Click on image of Andy Garcia quotes to view full size.